The gods are athirst (1921). 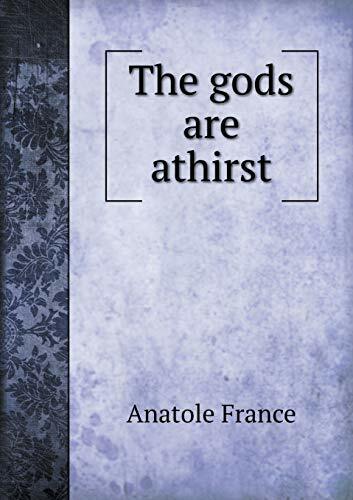 This book, "The gods are athirst", by Anatole France, Wilfrid Jackson, is a replication of a book originally published before 1921. It has been restored by human beings, page by page, so that you may enjoy it in a form as close to the original as possible. Anatole France (pseudonym of Jacques Anatol Thibault, 1844- 1924) was the most prominent French man of letters of his time. France's style was precise, elegant, gentle, ironic, and humorous. He was elected to the French Academy, and in 1921 was awarded the Nobel Prize in literature. Some of his other works include The Aspirations of Jean Servien, The Revolt of the Angels, and Penguin Island.